Not being a photographer, I can never get an image as striking as what I see. 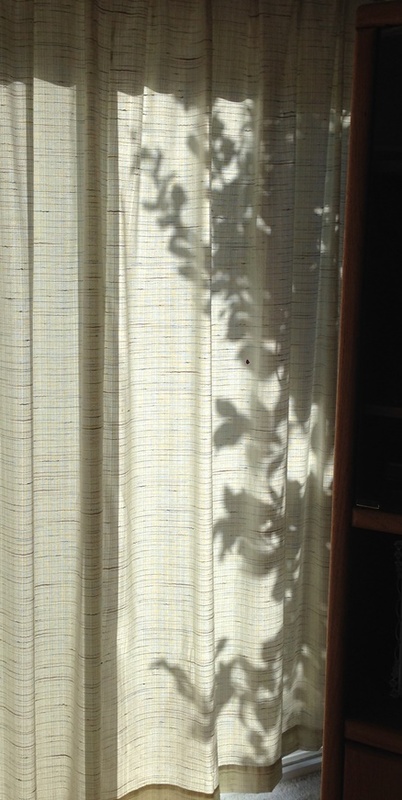 One day I was in my living room and I looked up and saw this shadow of our lemon tree, it was really beautiful. Of course, I didn’t capture it, but it is still interesting enough for my Friday Photo post. Ya think? This entry was posted on February 16, 2018 at 8:32 pm	and is filed under Friday Photo. Tagged: Friday Photo, lemon tree, shadow art. You can follow any responses to this entry through the RSS 2.0 feed. You can leave a response, or trackback from your own site. The shadows are very nice. I like those dark shapes on the curtain. Thanks. I noticed it again today!